You may think this is about money, but it’s not; it’s about a really great pair of shoes. 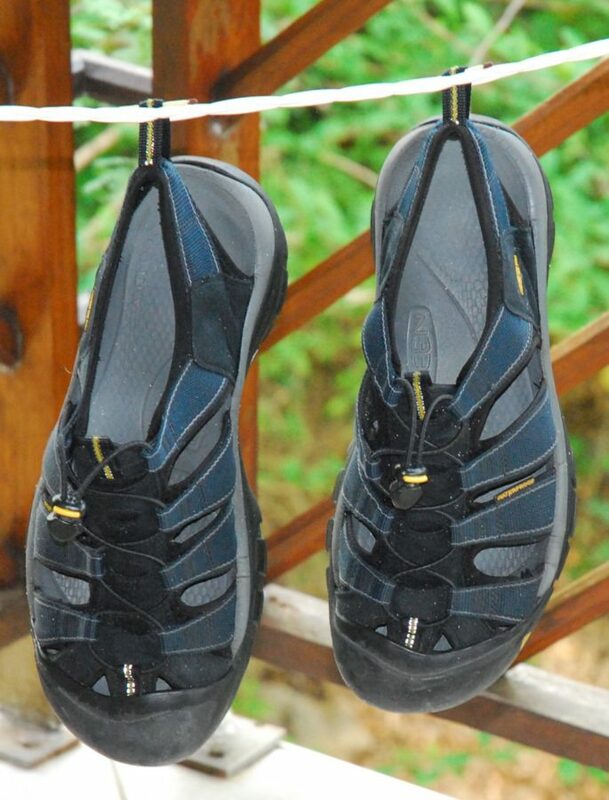 My Keens hanging out to dry after being washed. Five years ago I bought a pair of Keen sandals. I think I paid about $95. What I have discovered since then is that these shoes are the greatest and most versatile all-purpose, all-around shoes ever made. They are remarkably durable and comfortable. If the gods came down from Mount Olympus and decreed to me that I could have only one pair of shoes–only one–I would choose these. 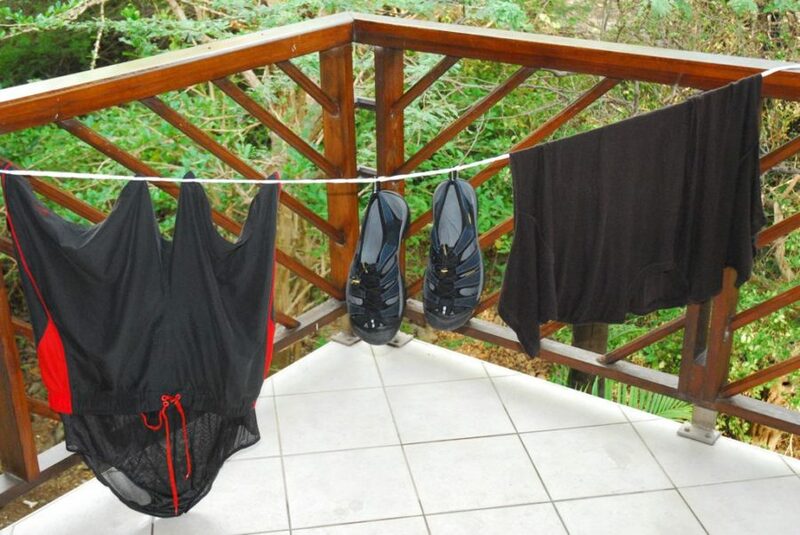 When these shoes get dirty, I just throw them in the washing machine, and then let them hang dry. Clean shoes again. I can wear these things anywhere. I can go up to the ocean’s edge and walk right into the water (not on the water–yet). No need to worry. They will dry just fine. If I am wearing long pants and going to dinner, all I need is a pair of appropriately colored socks, and I’m ready for the restaurant. Only for the most formal occasions would I scratch my Keens. In most travel situations, that would never be necessary. I wear these shoes almost all the time in warm weather. They are five years old and still show no need for replacement. About the only time I do not wear Keen sandals is in deep snow or really cold weather. We’re going to China next year. Guess which pair of shoes I will take. When I bought my Keens, I thought they were a little pricey: $95. But really, they’re cheap. They have cost me less than $20 a year to own. I learned from my mother to buy quality stuff. I have followed her example most of my life, and been disappointed when I haven’t. Odd—it turns out that quality shoes ARE a bargain, and over time prove to be rather inexpensive. I certainly am no expert about shoes. However, I have peripheral neuropathy in both of my feet, so they are quite sensitive, which means I have difficulty walking without shoes. My Keens give me no problems; they are completely comfortable. Disclaimer: This article is generated completely on my belief that these shoes are excellent all-around shoes, and especially suited for travel. I have not been in touch with the Keen Company nor have I requested or received any remuneration from Keen for my remarks in this article. We love our Keens too! We got them before a trip to Guatemala in 2005. They have been on every trip since then. After 7 years they are getting a little worn out. We might need new ones before the next big trip.